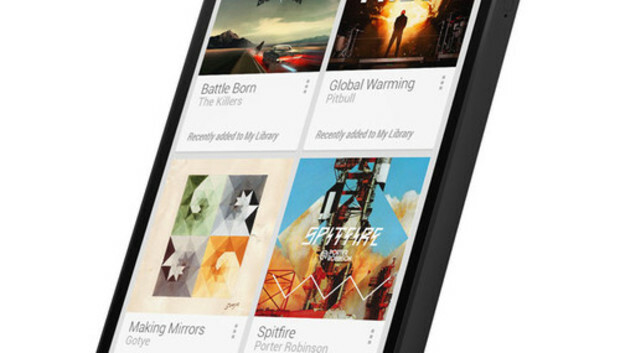 Google's highly anticipated Nexus 5 is the first smartphone with the latest Android 4.4 OS code-named KitKat. Few phones have been preceded by so many rumors and purported leaks as Google's latest smartphone, which was launched Thursday along with the latest version of Android, and, like the Nexus 4, is manufactured by LG Electronics. The phone has a 4.95-inch full high-definition display and is available unlocked for $349. The smartphone is the "slimmest and fastest Nexus phone ever made," wrote Sundar Pichai, senior vice president of Android, Chrome and Apps at Google, in a blog entry. The smartphone weighs 136 grams and is 8.59 millimeters thick. It has a Qualcomm Snapdragon 800 processor running at 2.3GHz and has LTE mobile connectivity, which is an important differentiator from Nexus 4, which was announced at this same time last year. The lack of LTE network technology in the Nexus 4 came as a surprise to many. The Nexus 5 provides 17 hours of talk time and 8.5 hours of Internet browsing on a Wi-Fi network, with seven hours on an LTE network. The Nexus 5 also has a new camera that can take sharper pictures and keep images stable. The device has an 8-megapixel rear camera and a 1.3-megapixel front camera. "A new HDR+ mode automatically snaps a rapid burst of photos and combines them to give you the best possible single shot," Pichai wrote. Other features include 16GB to 32GB of storage, 2GB of RAM, a micro-USB port. It supports 802.11ac Wi-Fi wireless networking. The smartphone is available through the Google Play store in the U.S., Canada, U.K., Australia, France, Germany, Spain, Italy, Japan and Korea, and will be coming to India "soon," Pichai wrote. Some software enhancement in KitKat include the "Phone" app, which makes it easier for users to access contacts and make calls. The "Hangout" app enables videoconferencing, and also stores SMS and MMS messages. Like Motorola's Moto X, the smartphone has the Google Now application for voice-related commands and search. The Nexus family of smartphones is still deeply strategic for Google, according to Geoff Blaber, CCS Insight's vice president of research for the Americas. "In essence what we are seeing emerge is a two-tier strategy, with devices such as the Samsung Galaxy S4 and the HTC One with a vanilla Google experience on one end, and then at the other end the Nexus products, which are about offering strong hardware with a very aggressive price," he said.